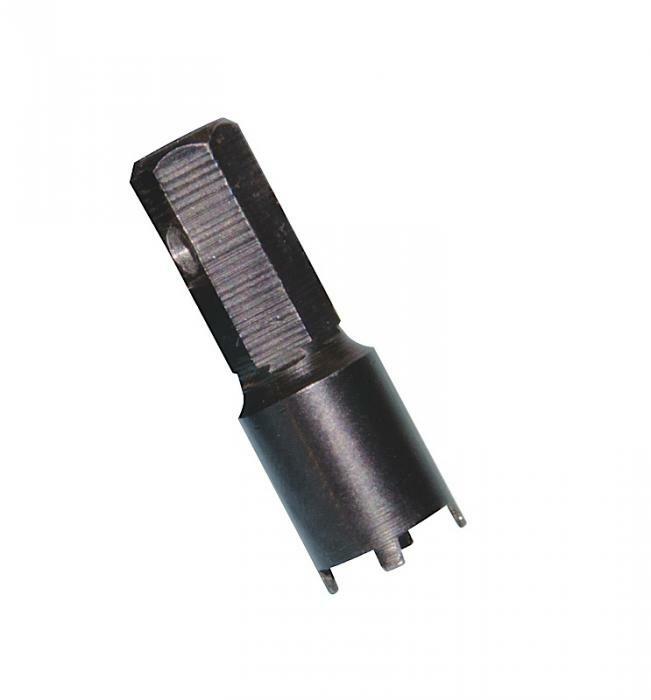 This 4-prong front sight tool is designed to adjust the A2 front sight found on the AR-15, M16, and M4. It is machined from steel and has a black zinc finish to last for years. The key ring serves as a handle and helps keep the small tool accounted for. It can be used with any 1/4" hex driver.